Many of the abandoned mines in the United States are known for their long operational timelines, important community histories, and in more recent times, complicated environmental problems. There are an estimated 500,000 abandoned mining sites in the United States that no longer provide an economic benefit and a large percentage of these sites have legacy environmental issues that require expensive cleanup. To further complicate the issue, those who were familiar with these sites have long since retired leaving behind mines that are poorly characterized and dangerous to both people and the environment. No longer known are the locations of the mine openings, the vertical shafts and the adits (i.e., horizontal openings to the mines) – lost is the knowledge of where the waste rock piles are and how water flows through the site. Without this information it’s difficult to characterize and control the environmental and safety hazards at an abandoned mine. Currently, site characterization is challenging and involves time-consuming manual data collection across rugged mountainous terrain in large, remote areas. Identifying abandoned mine entrances, understanding hydrology in high resolution, and managing vegetation regimes used to stabilize and treat mine wastes continue to be burdensome problems for those involved in mine reclamation. However, by using emerging sensors mounted on unmanned aerial vehicles (UAVs or drones) and advanced imagery analytics, it’s possible to reveal the lost history of an abandoned mine and help legacy mine owners understand and manage their sites. At the 2018 Silverton Innovation Expo in Colorado, a group of regulators, consultants, industry members, legacy mine site owners, and other stakeholders met to discuss how to best address the challenges surrounding abandoned mine lands. One of the focuses of the Expo was the need for advanced site characterization tools to understand the risks associated with managing mine waste and mine hydrology. Accurate site characterization is a common problem that appears again and again at mine restoration projects. This is where drone data collection and machine learning can help. The use of drones for data collection is now several years old but the industry is still rapidly growing. The Drone Deploy 2018 Commercial Drone Industry Trends Report showed a 198% increase in the use of UAVs across mining in 2018. Drones can easily fly over an entire mining site, collect high resolution imagery data using any variety of sensors (e.g., RGB, multispectral, LiDAR, thermal etc. ), and achieve excellent spatial accuracy. When compared to discrete data points manually collected by hiking over a site for days or even weeks, there is no comparison! 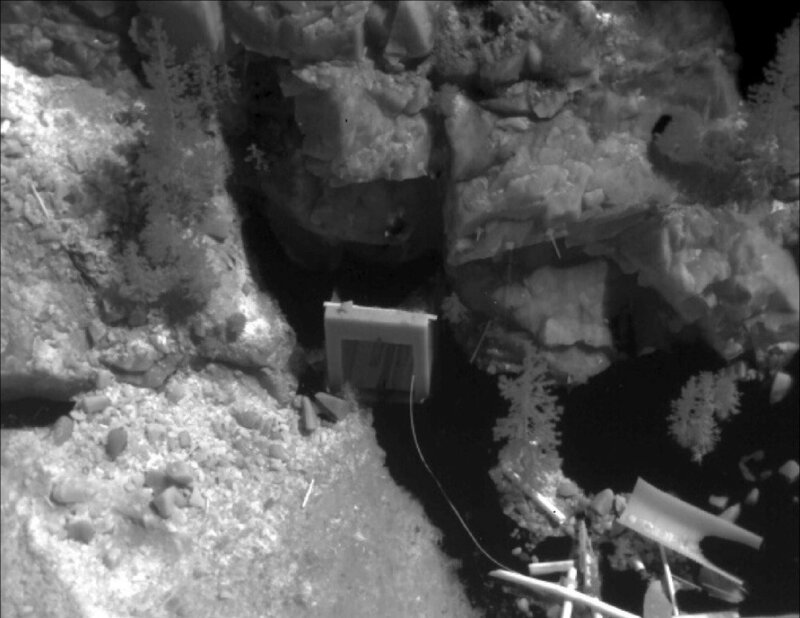 Inevitably, all this aerial collection results in a veritable ocean of data that still needs to be processed and analyzed to be useful in the mine reclamation process. By analyzing this high resolution imagery data with machine learning algorithms, it’s possible extract insights that would have otherwise never been known. Derived insights provide more information to act on and help reclamation teams manage risk. For example, how can you secure and close abandoned mine openings to protect human health and the environment if you don’t know where they are? With drone data collection and machine learning image analysis, it’s possible to identify these mining features, previously lost and forgotten. Machine learning based imagery analysis provides the ability to process vast amounts of imagery data and identify the locations of surficial mining features across an entire mine site. This information can then be easily ported to a web-based geographic information system, allowing mine reclamation managers to quickly review and share the data with other stakeholders involved in the mine restoration process. Abandoned mine features that have been forgotten for decades, or even centuries, can now be identified using modern technologies. Drone data collection paired with advanced imagery analysis and web-based data platforms are helping reclamation managers understand environmental and safety hazards, manage previously unknown risks, and ultimately improve the efficiency of the mine restoration process. Want to learn more about SiteSee?